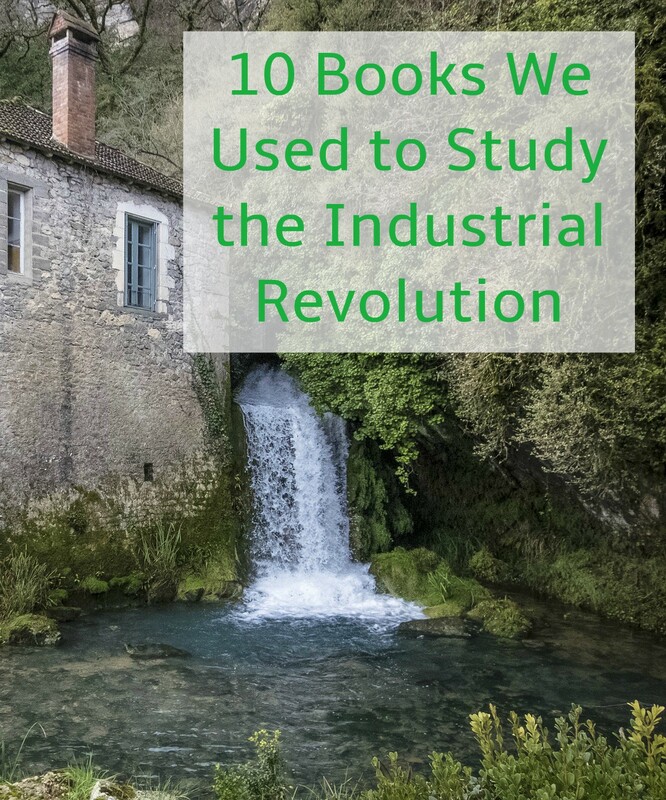 I really wanted to study the Industrial revolution with the boys but wasn't sure what I wanted to focus on.. so we ended up reading a little bit about all of it! We learned that the Industrial Revolution spanned 100 years in American history so we tried to cover a little bit of everything. We covered inventions from Eli Whitney's cotton gin to the car to the airplane! We covered factory life and the start of the worker's unions. We covered the transcontinental railroad and the building of highways and roads too. We compared the american industrial revolution with the birth of inventions and factories across England and Europe too. 1. 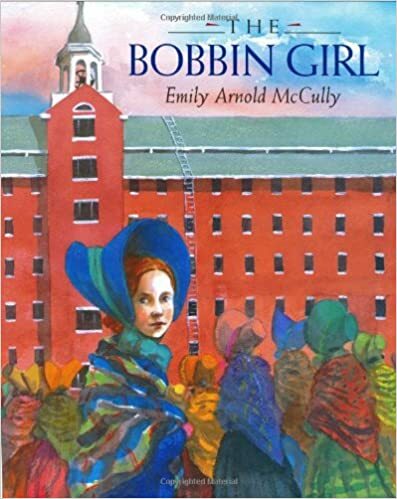 The Bobbin Girl by Emily Arnold McCully-- we really enjoyed this story about Rebecca, a young mill worker in Lowell, Massachusetts. We learned a lot about what the typical day of a mill worker was like as well as how the first strike or "turn out" came to be. 2. 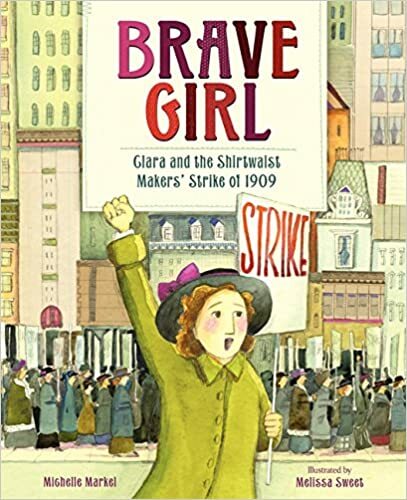 Brave Girl: Clara and the Shirtwaist Makers' Strike of 1909 by Michelle Markel-- We learned about a very successful general strike in New York led by Clara Lemlich. 3. You Wouldn't Want to Be a Victorian Mill Worker! 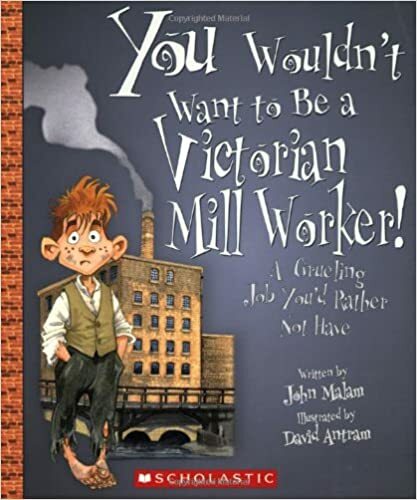 by John Malam --Though this story is about a mill in England my boys and I talked about how similar the United States Industrial Revolution was to England's and after reading the book we compared what we knew about mill workers lives here with those in this book and found them to be quite similar. 4. 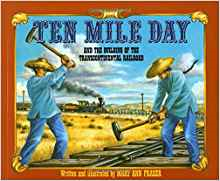 10 Mile Day by Mary Ann Fraser-- A picture book about the building of the transcontinental railroad and the push to break all previous records by laying 10 miles of track in one day. 5. 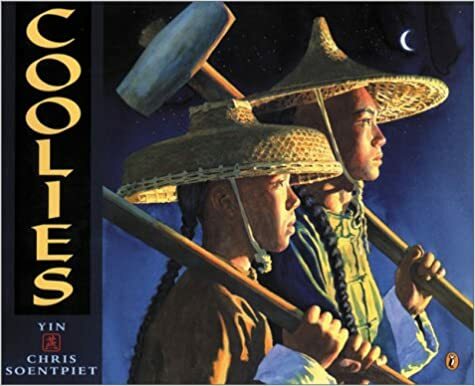 Coolies by Yin-- Looking at the building of the transcontinental railroad from the perspective of two Chinese immigrants looking for a better life in America at that time. 6. 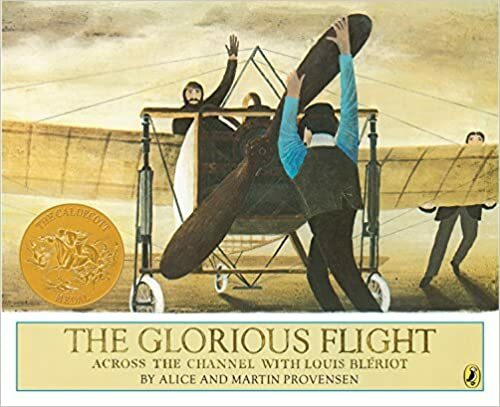 The Glorious Flight Across the Channel with Louis Bleriot by Alice and Martin Provensen-- This book explained the first flight across the English channel and looked a bit at the life of the inventor who managed to bring his dream to reality in France in 1909. While this book was once again about Europe my boys and I talked about the many similarities in what Louis Bleriot and the Wright Brothers went through. 7. 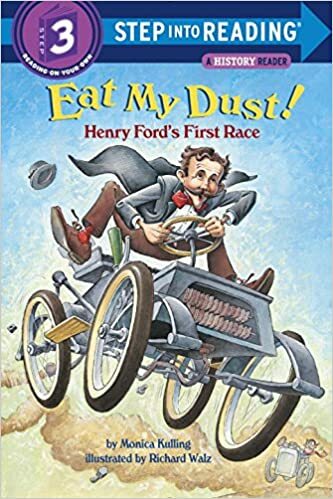 Eat My Dust by Monica Kulling-- Based on the true story of how Henry Ford got enough money to start up the Ford car company by entering a race. 8. 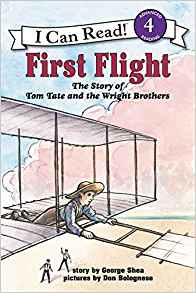 First Flight; The Story of Tom Tate and the Wright Brothers By George Shea-- The story of the Wright Brothers and the multiple machines they built before finally making their flying machine. 9. Quick, Annie, Give me a Catchy Line! : A story of Samuel F.B. 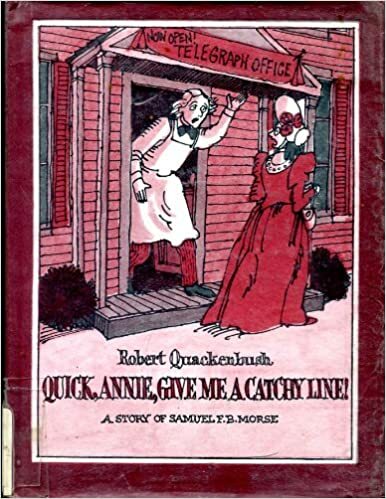 Morse by Robert Quackenbush-- The story of Samuel Morse and the invention of the Morse code and the electric telegraph machine. 10. 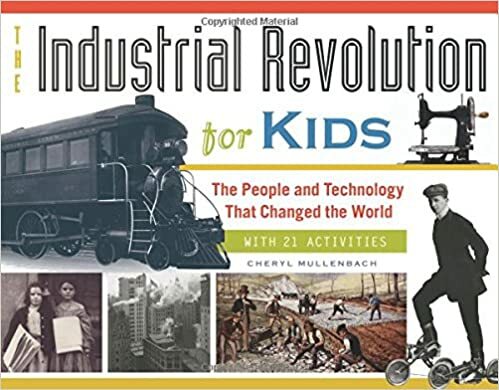 Industrial Revolution for Kids; The People and Technology that Changed the World (with 21 activities) by Cheryl Mullenbach-- While this book was written more like a textbook we did read through little snippets here and there learning about the effects of the revolution on Native American's, farmers, and immigrants. We also read about the Slater mill; the first mill in the United States and how other mills modeled themselves after his. It was a wonderfully comprehensive book with lots of fun activity ideas to try out. I love lists like this! Thank you so much! Pinning! Tweeting! You're welcome and thanks for all the shares!